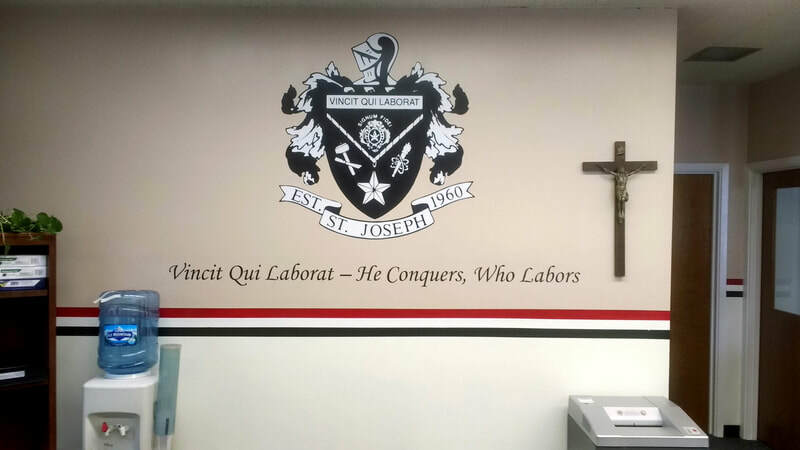 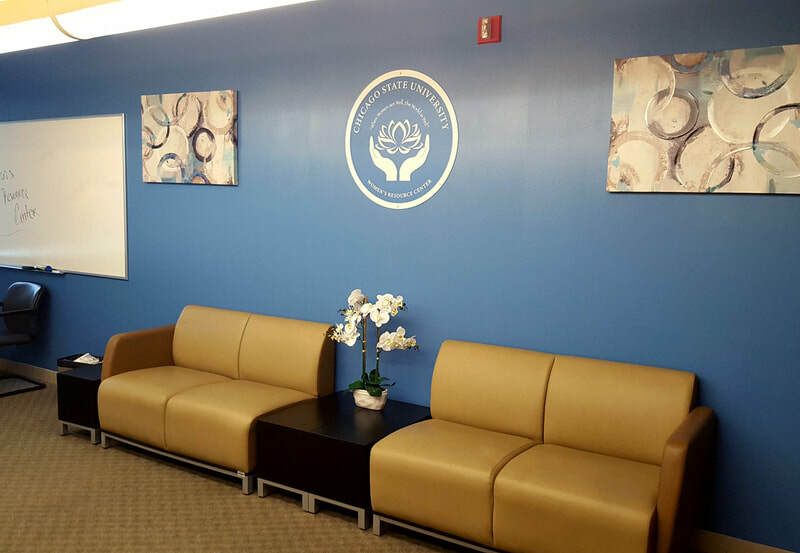 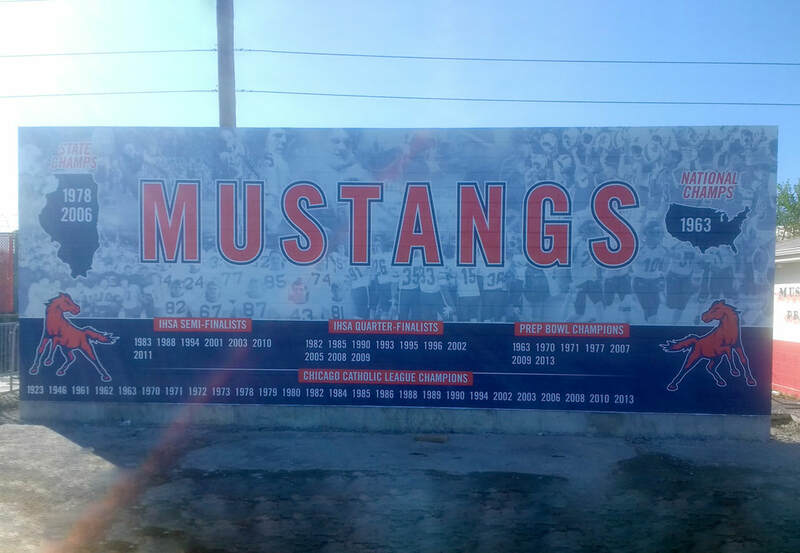 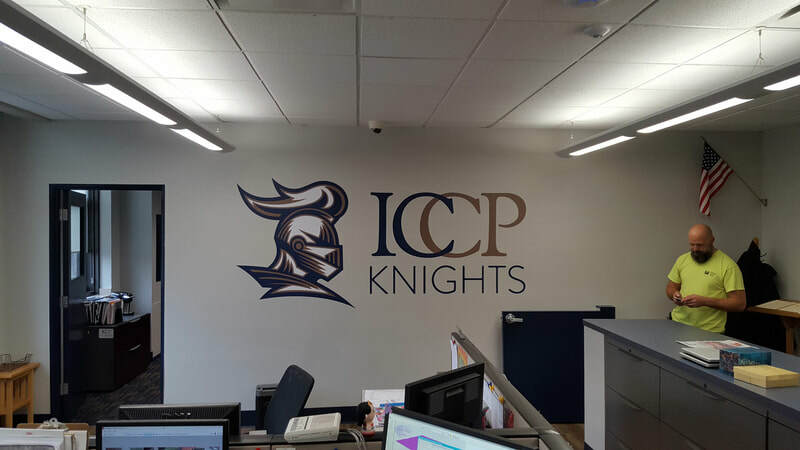 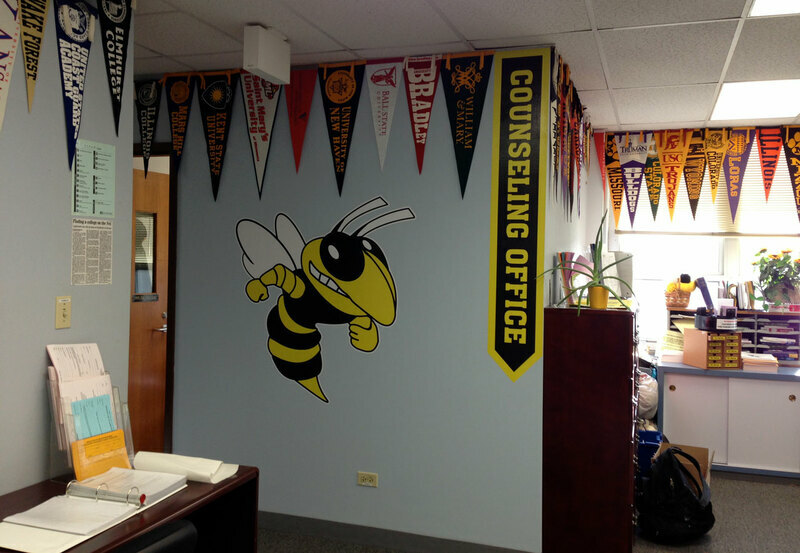 We can give any interior or exterior wall a fresh look with custom wall graphics. 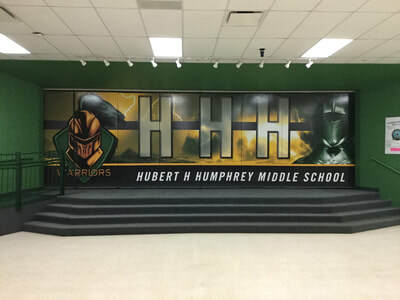 Every wall graphic is laminated for extra protection. 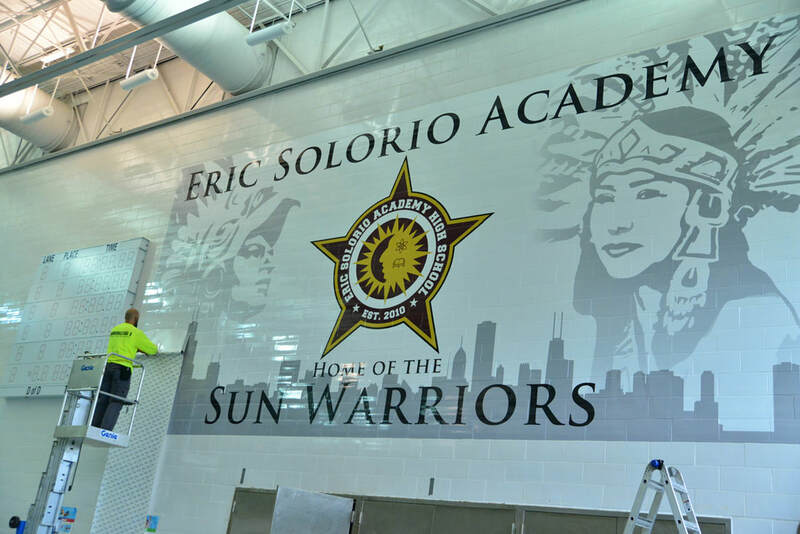 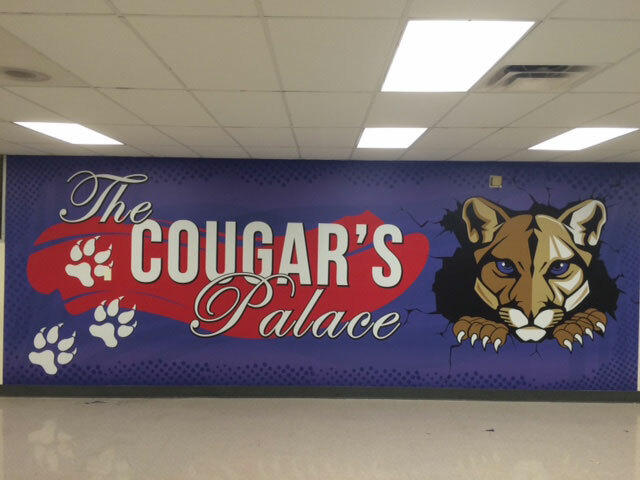 We can apply a full wall mural, die-cut lettering, logos, and so much more! 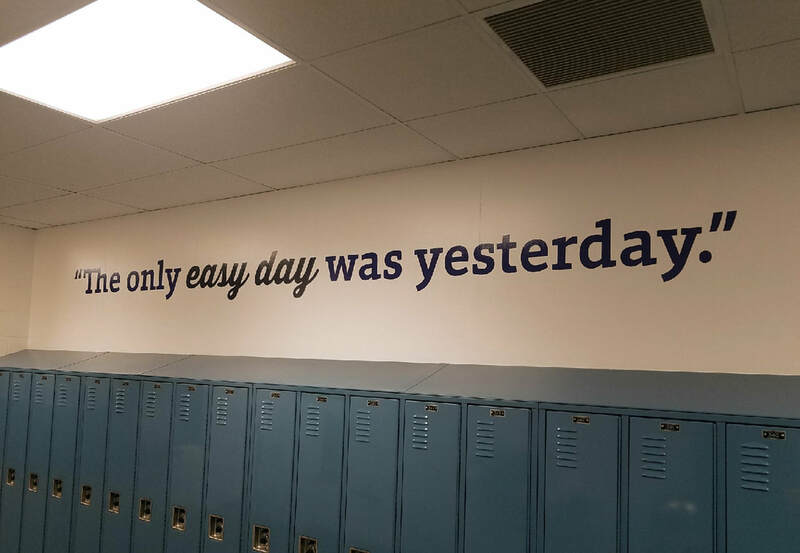 Do you have a blank surface? 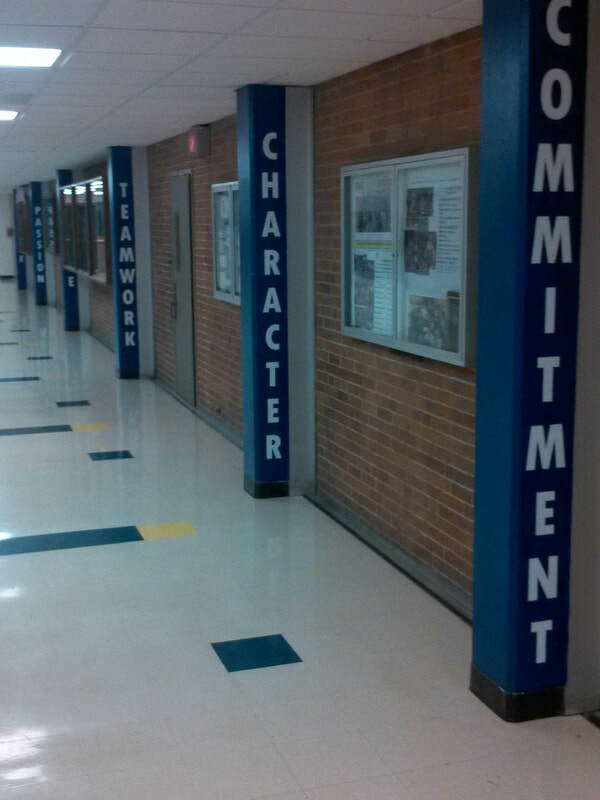 We will figure out the best material to get the job done right. 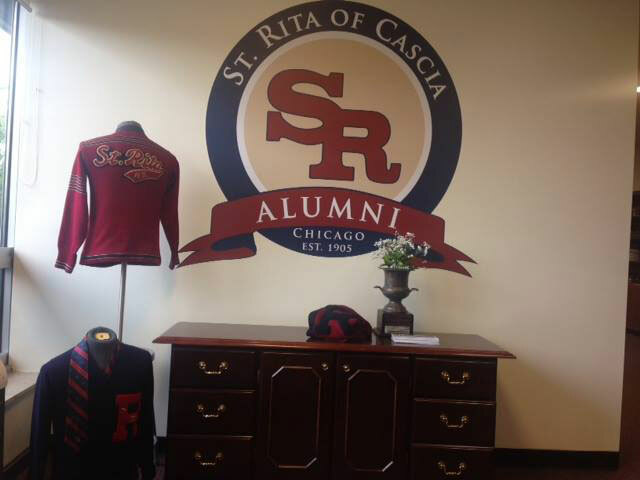 Display your school logo large and proud! 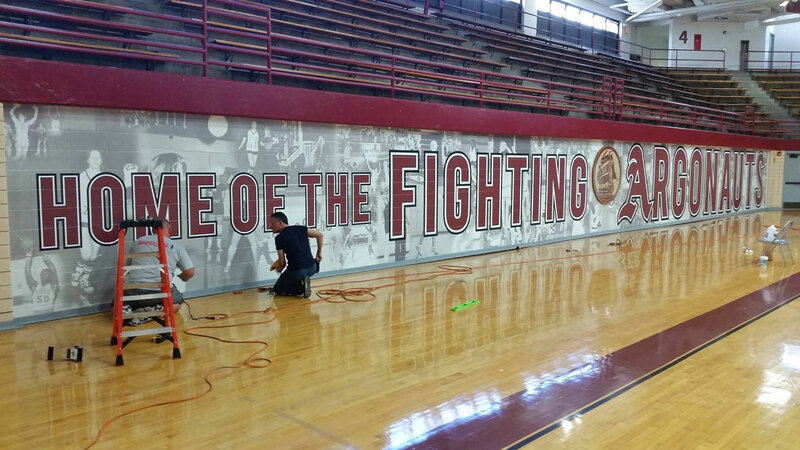 These large format logos take your blank wall space to the next level. 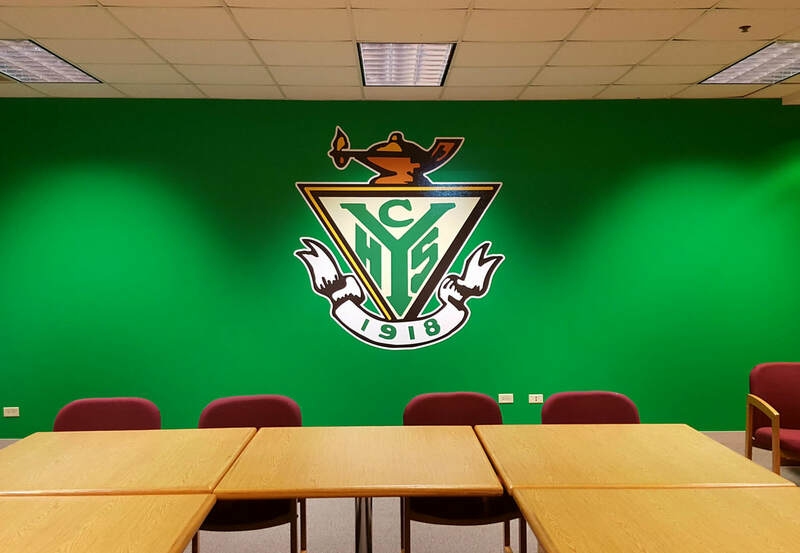 All logos can be applied to any surface. 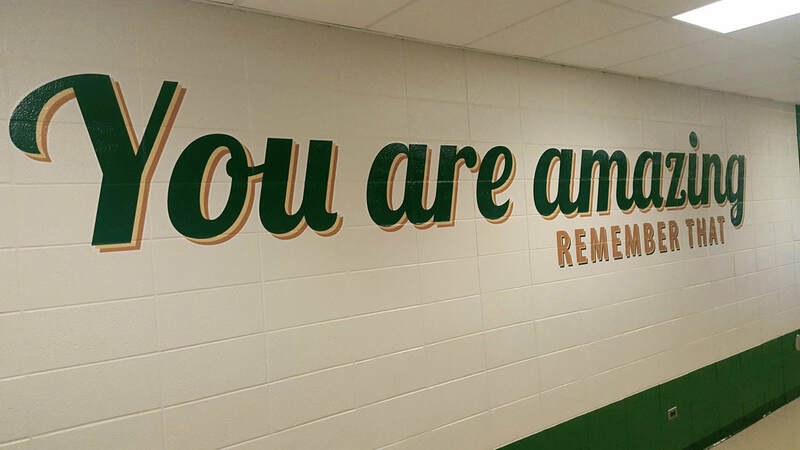 Words have power, and motivational quotes can have a tremendous impact on your students and athletes. 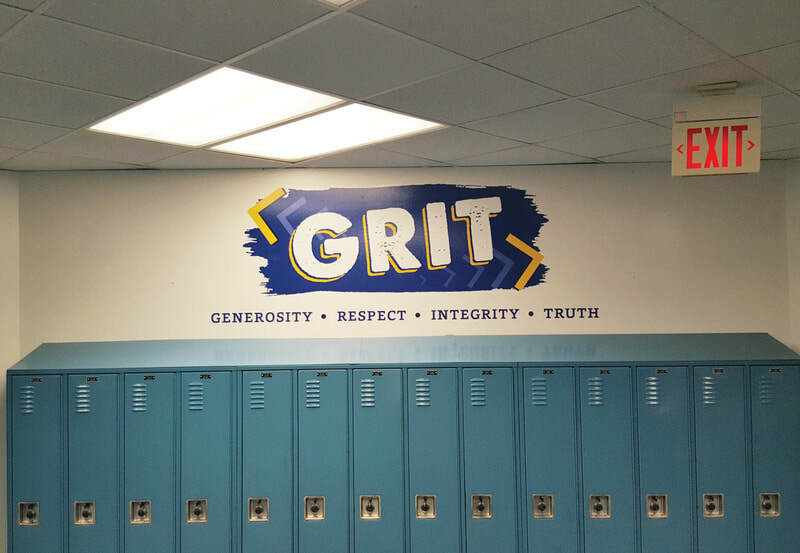 The right words can inspire, set expectations and positively reinforce a student's efforts. 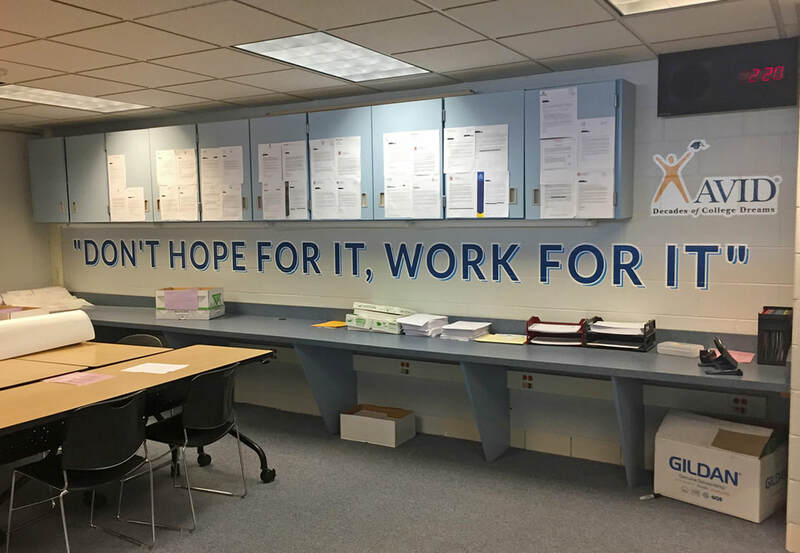 A motivated student is more productive and enthusiastic. 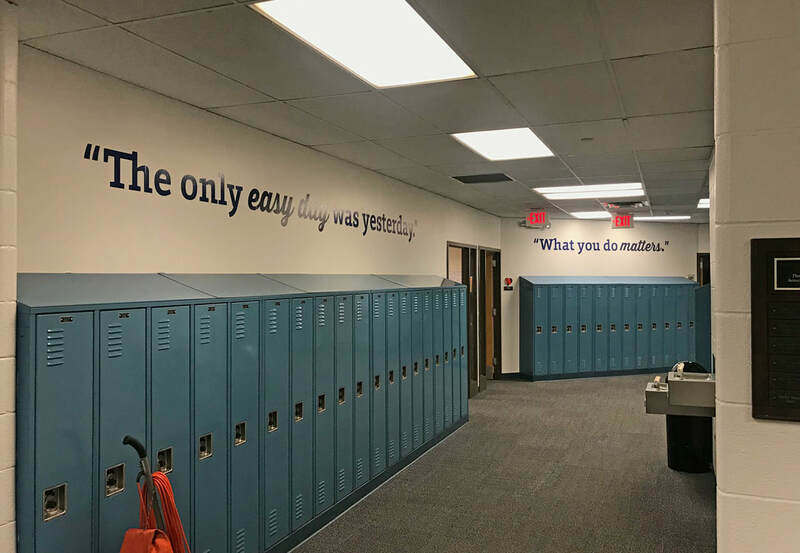 Keep those inspiring words out there for your students to see every day! 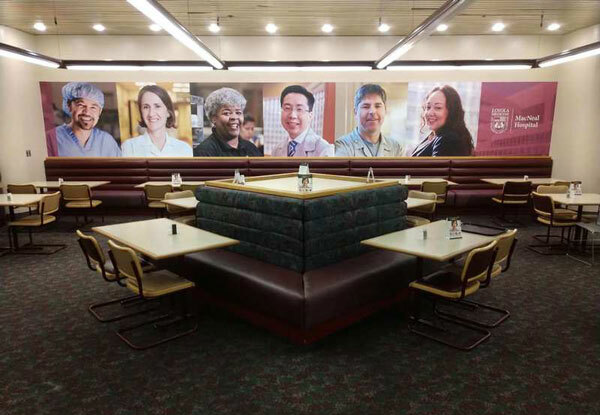 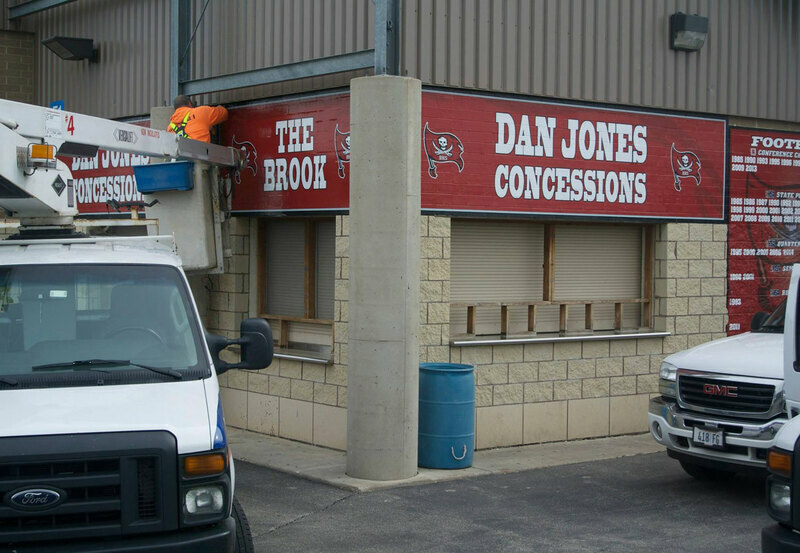 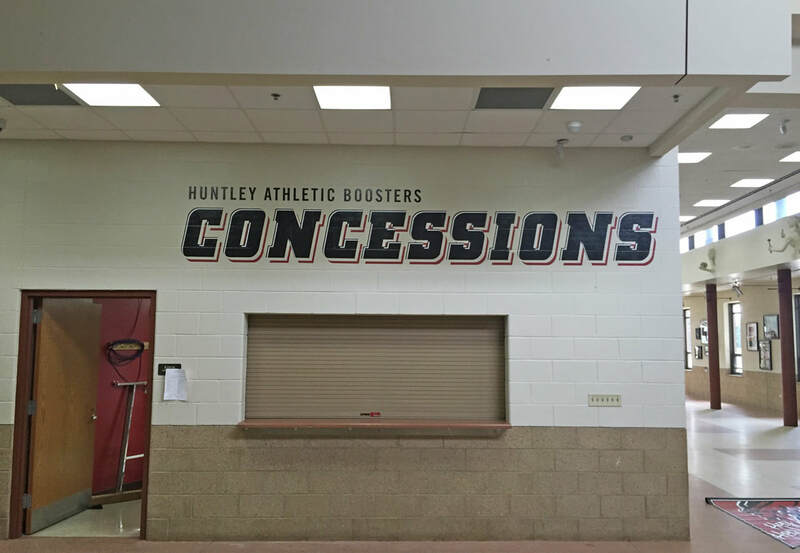 Let us help you turn that eye sore in your gym or cafeteria into a vibrant, eye-catching graphic! 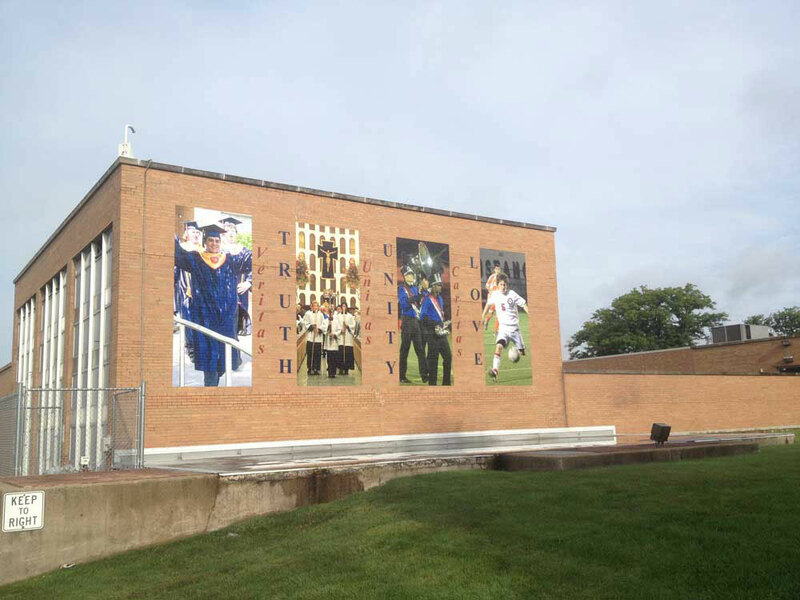 All stage doors are still accessible and able to open and close. 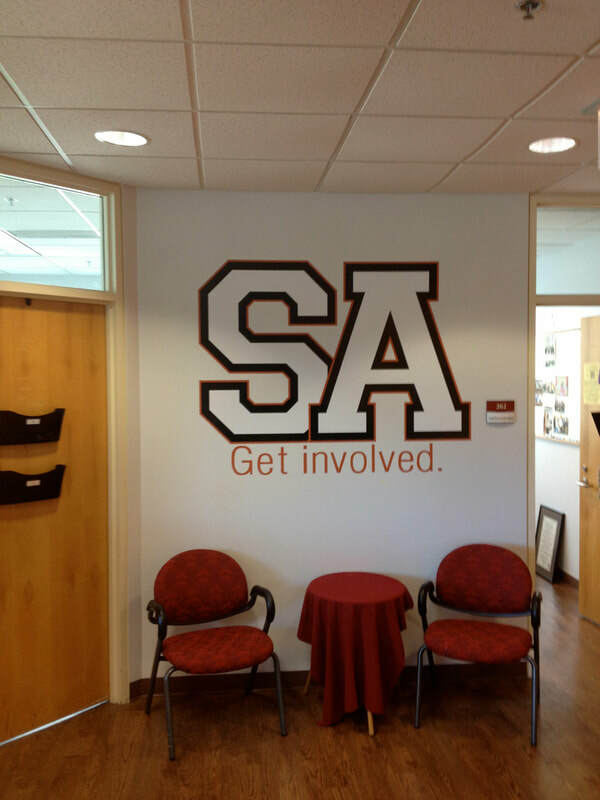 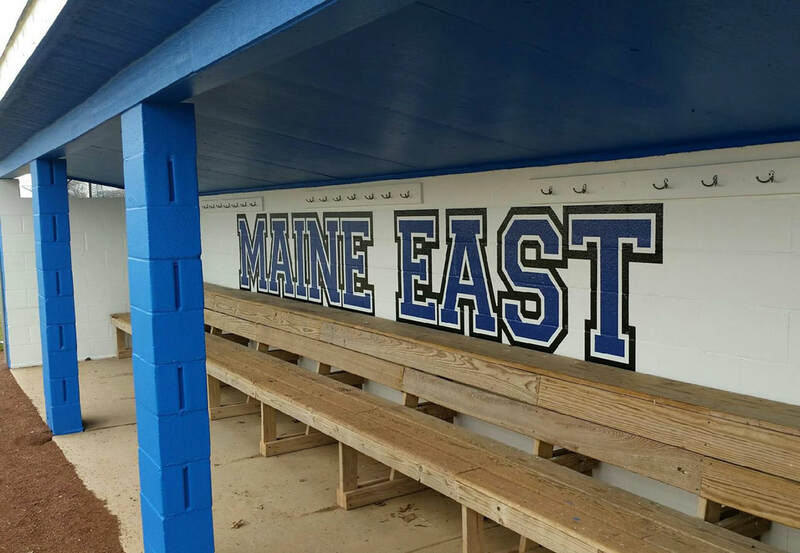 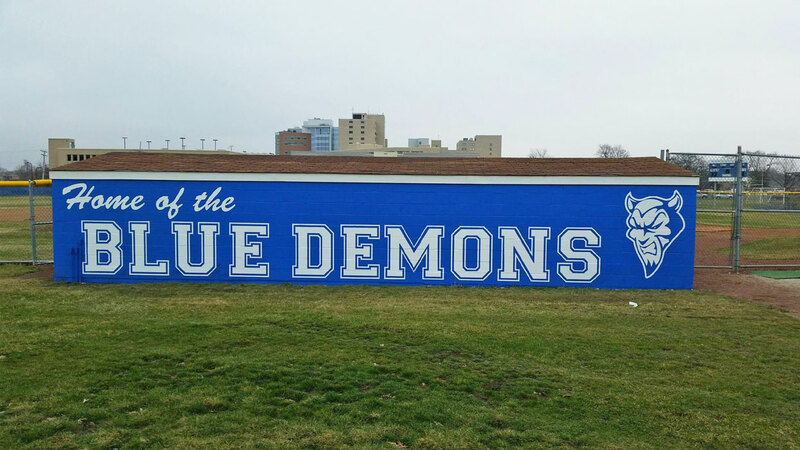 These graphics allow you to cover up those blank doors with a school logo or motto. 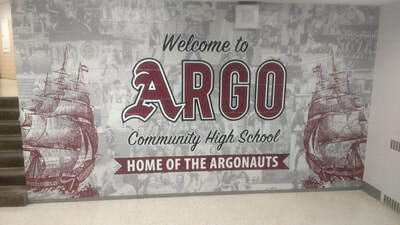 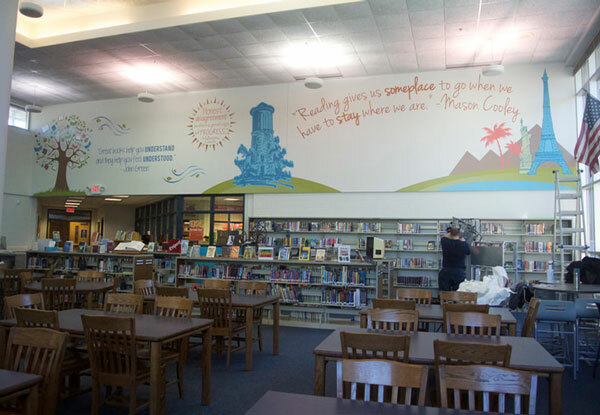 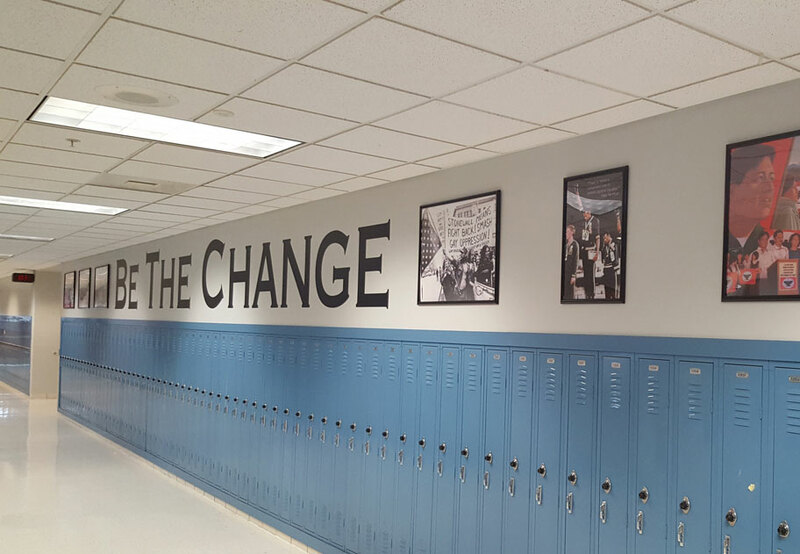 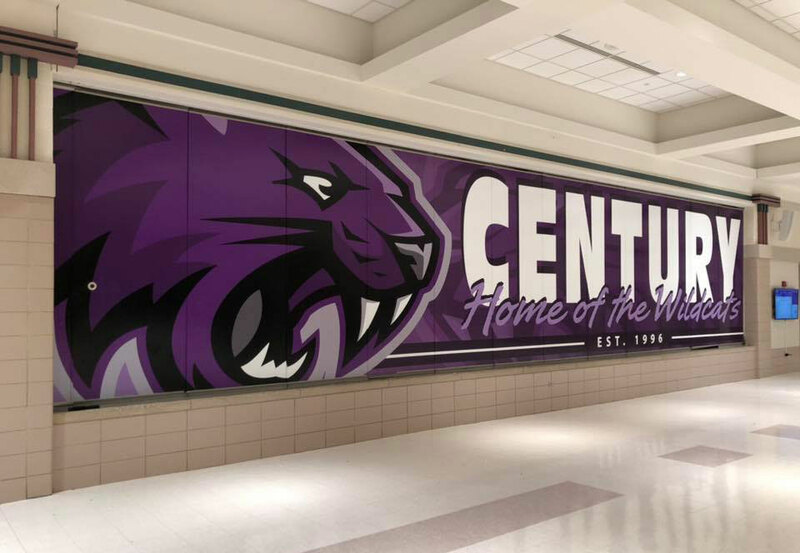 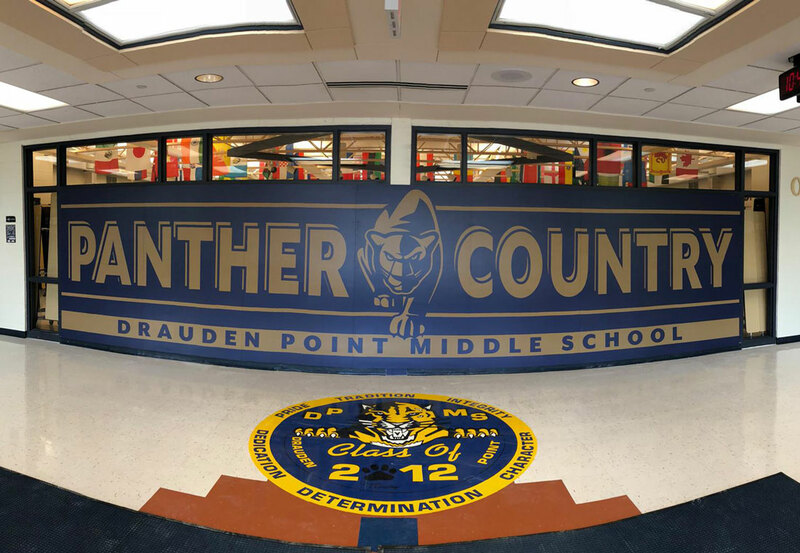 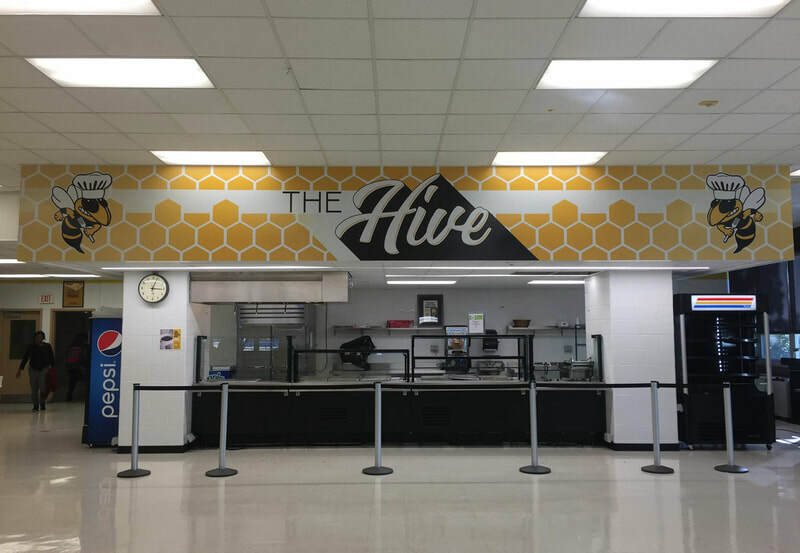 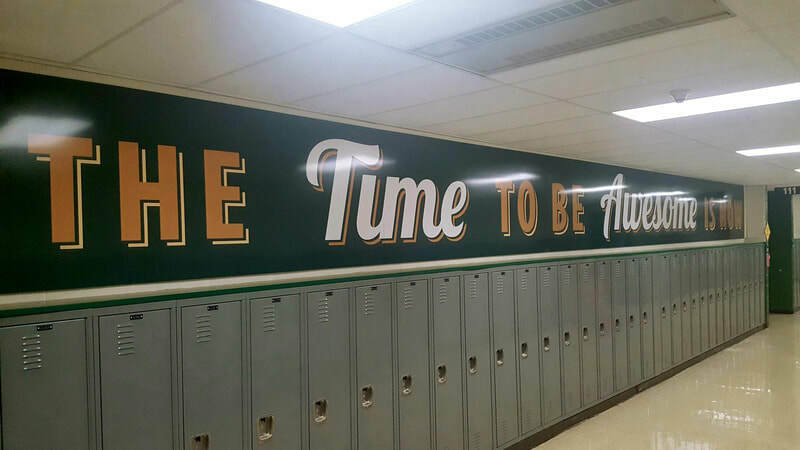 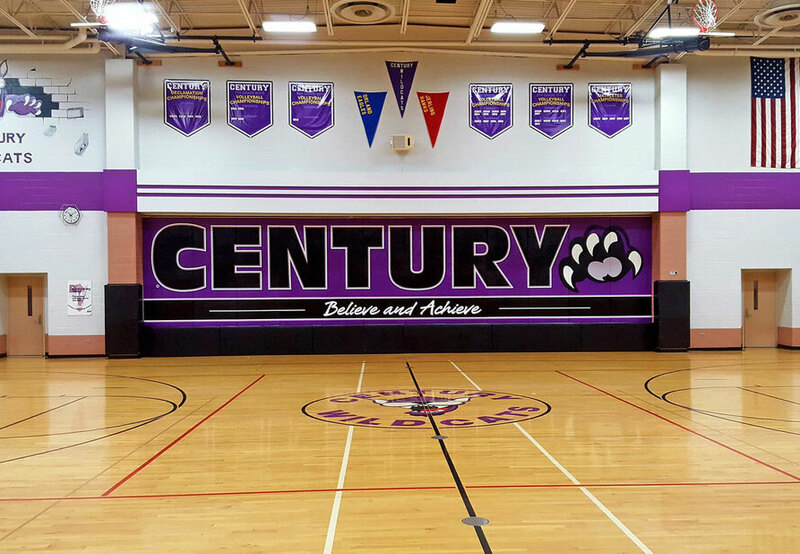 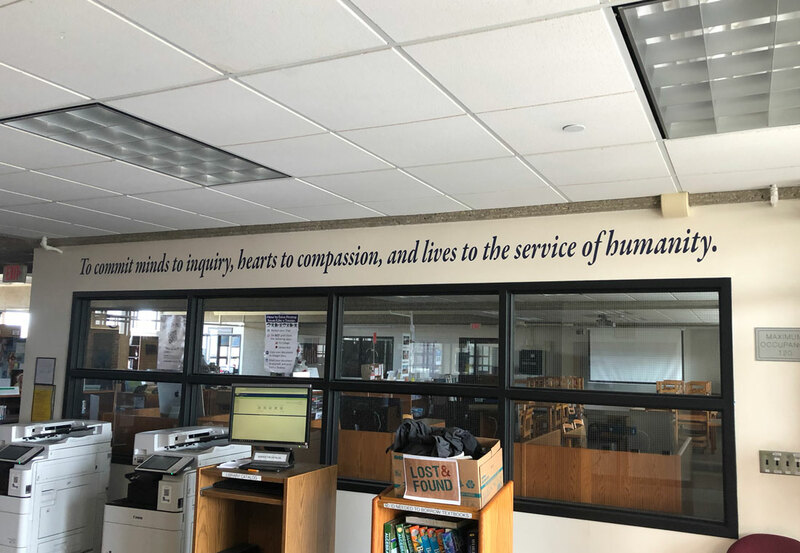 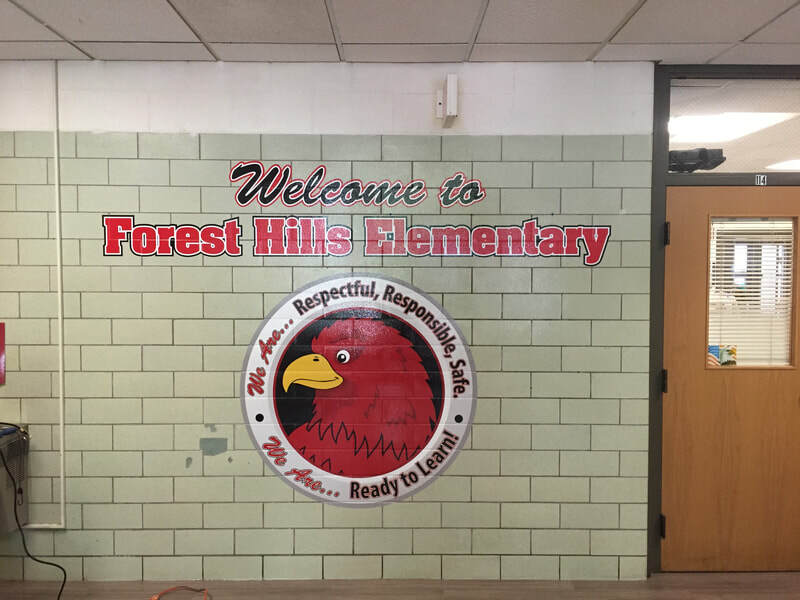 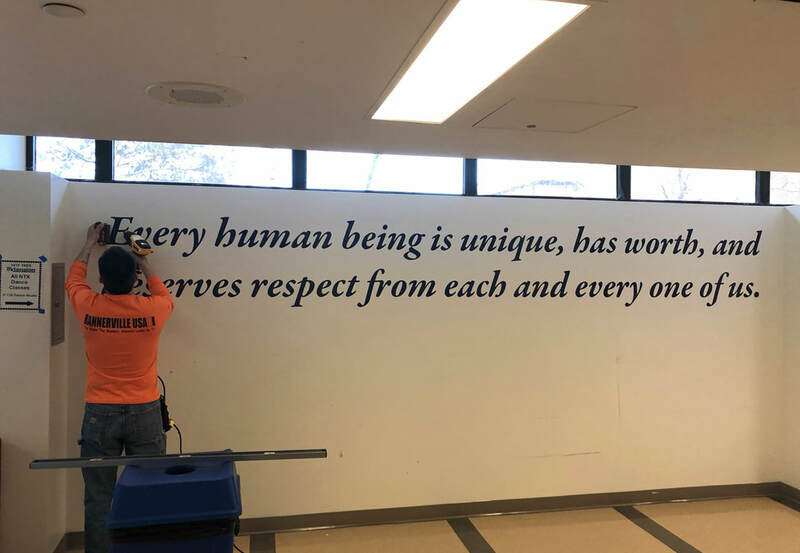 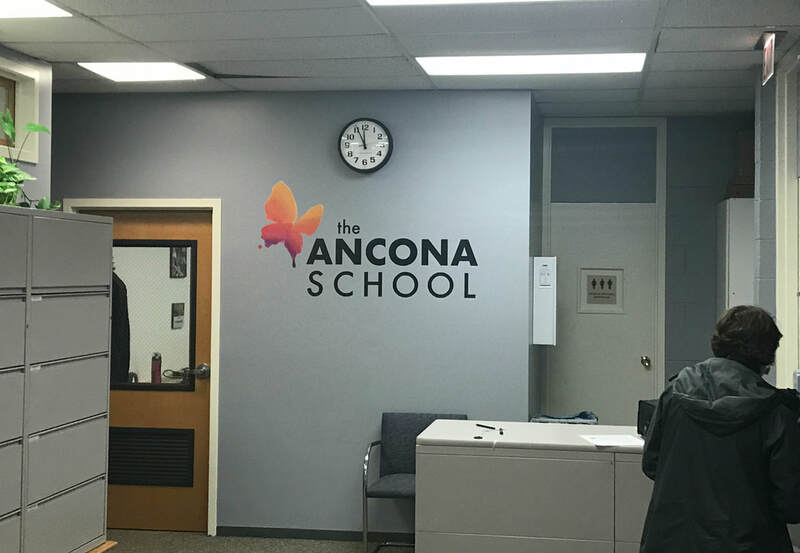 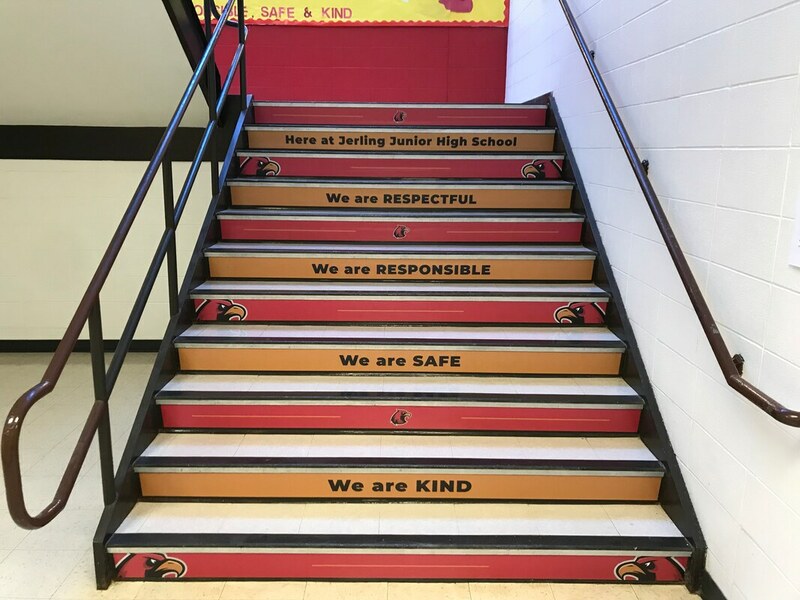 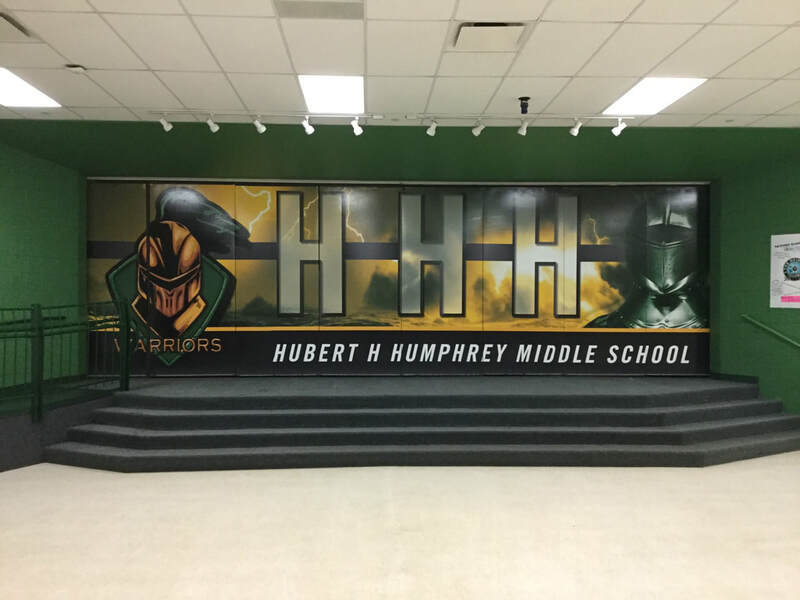 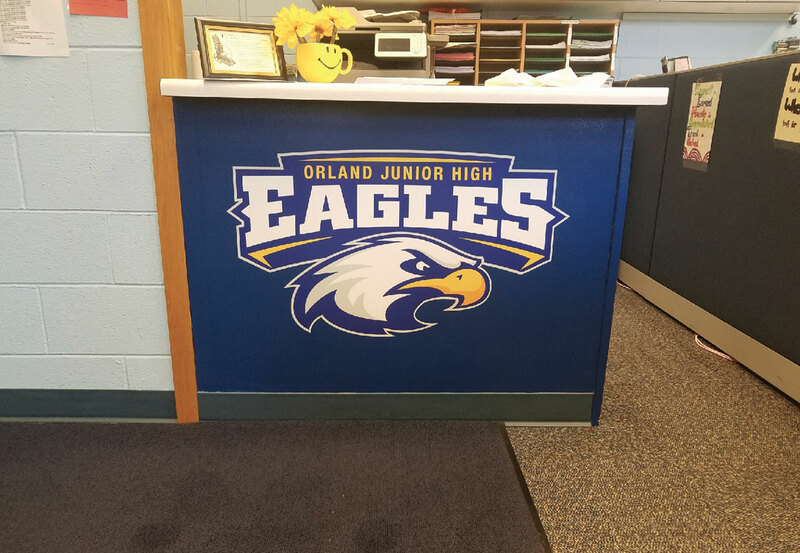 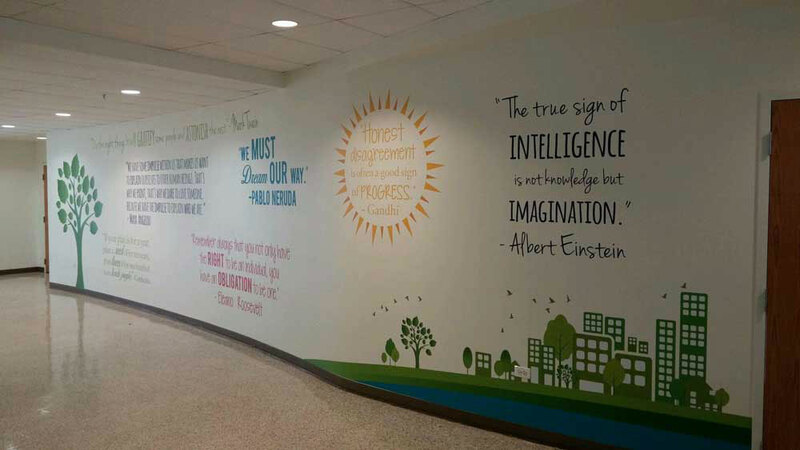 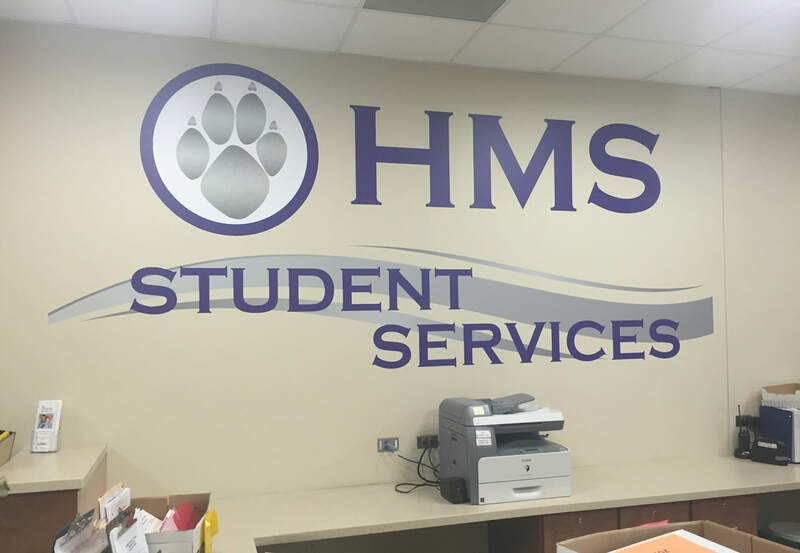 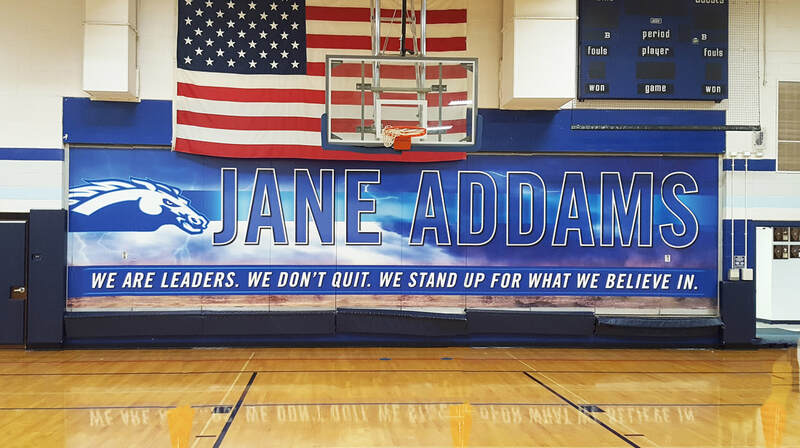 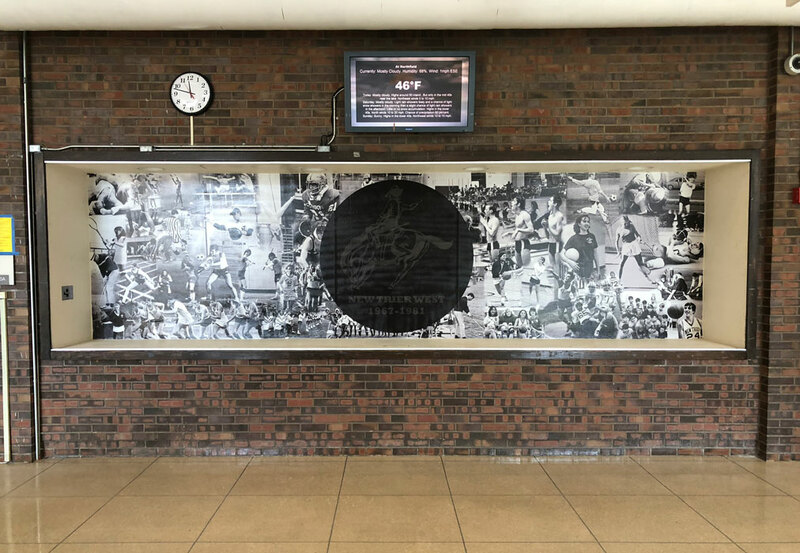 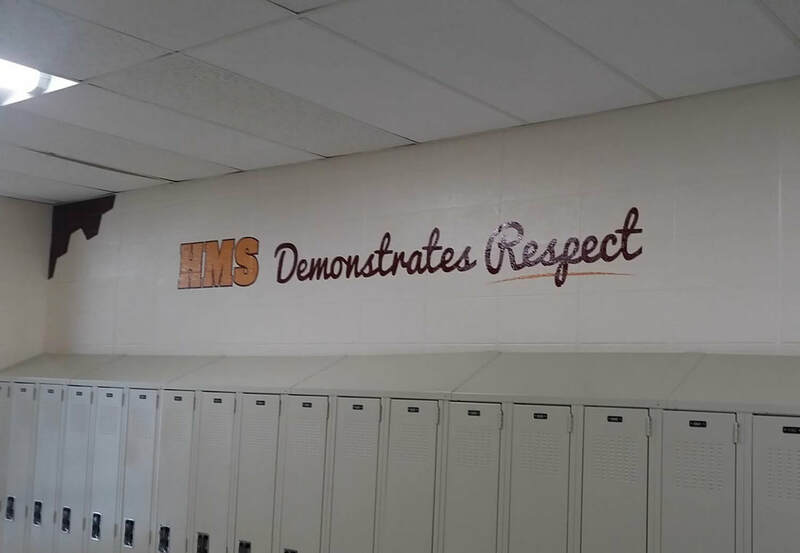 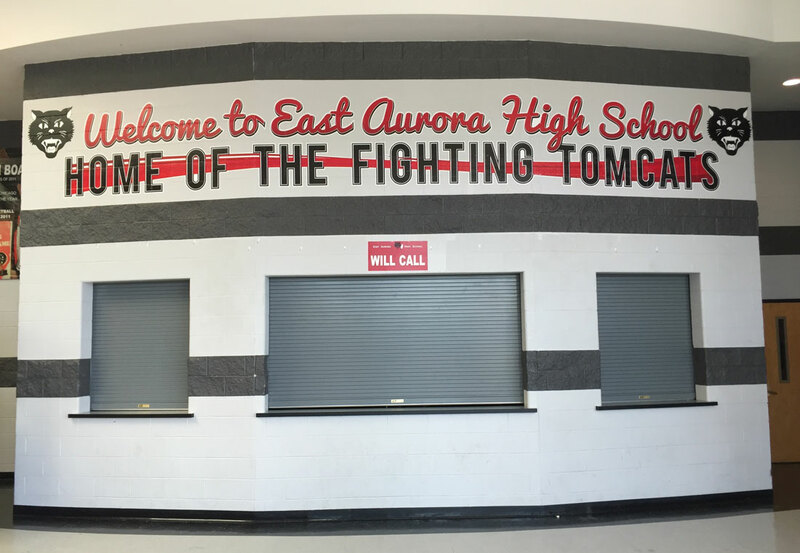 Textured wall and brick graphics allow you to transform the blank walls in your hallways, gymnasiums, classrooms, or cafeterias into a colorful, school spirit boosting area that brings life to your students and visitors.